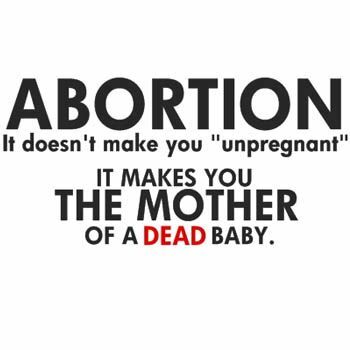 Are you pregnant and fearing abortion or miscarriage? Or have you undergone miscarriage lately? You must be really anxious and worried. Your fears are real and chances are that are you stressed because of overly thinking about it. True that getting pregnant is not easy and the responsibility suddenly mounts because not only you have to take care of yourself but also of the new life nourishing within you but you must be happy that you are going to blessed with a baby because some childless couples have to try endlessly to conceive and are mostly faced with disappointment and loneliness. Prevention from abortion and miscarriage requires strict care on your as well as your doctor’s part. Few abortion care tips and techniques, however, will help you a great way in retaining and successfully carrying your gestation. Women miss their periods for as long as they are pregnant but little bleeding in between is normal and does not indicate miscarriage or abortion. Suppose you see spotting in these 9 months, do not freak out. It is natural, however do inform your gynecologist immediately so that she would arrange for a medical checkup to ensure pregnancy continuation. Next in our line of abortion care tips is the avoidance of unnecessary intake of medication. Not many women are aware of the fact that needless intake of medications, for instance headache, body ache, antibiotics etc., have an adverse effect on the baby growing inside their womb. Whatever you eat gets dissolved in your blood and is transferred to your baby through the umbilical cord so be careful in your diet and medication. Do not take medication unless your doctor prescribes one for you. Prevention from abortion calls for staying away from excessive stress and depression. When you are depressed, your hormonal balance gets disturbed which is paramount for carrying out the successful 9 months of pregnancy. Deal with stress by trying to look at the positive side of the life. If you have had a previous miscarriage, you need not think and worry about it much. Start your life anew and strengthen your body and mind with positive thinking. This is no rocket science. If you are pregnant, you need to slow down and give yourself more rest than you usually do. Do not sleep on your belly or sit in a position that puts pressure on your abdomen. Do not ascend or descend stairs too quickly. Do carry out light exercise on routine basis such as brisk walk and movement. Static life itself is no good. This is one of the very important abortion care tips that you must never forget. Eat healthy. Do not give in to the craving of your stomach by consuming too much chocolate, caffeine, sugar, salt, spices, and other things that you think might affect your baby. If you smoke, immediately quit because it is neither good for you, nor for your baby.